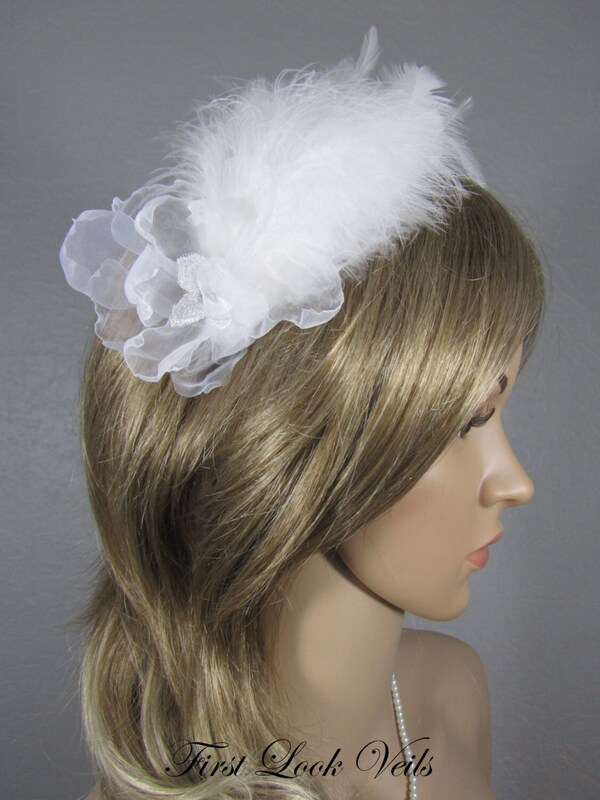 Our romantic hair adornment designed with feathers, flowers, lace & bling is placed on the side of a silver headband. 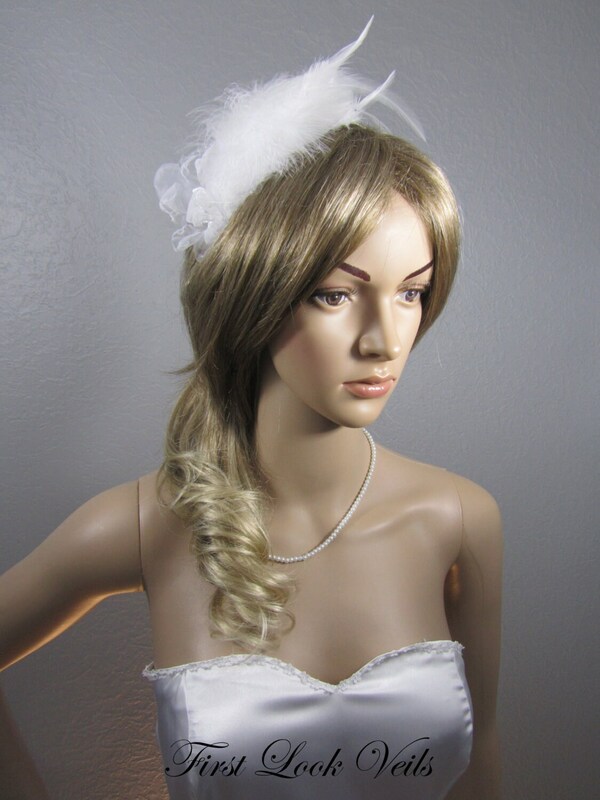 This stylish piece began with a buckram oval shape covered in white satin. 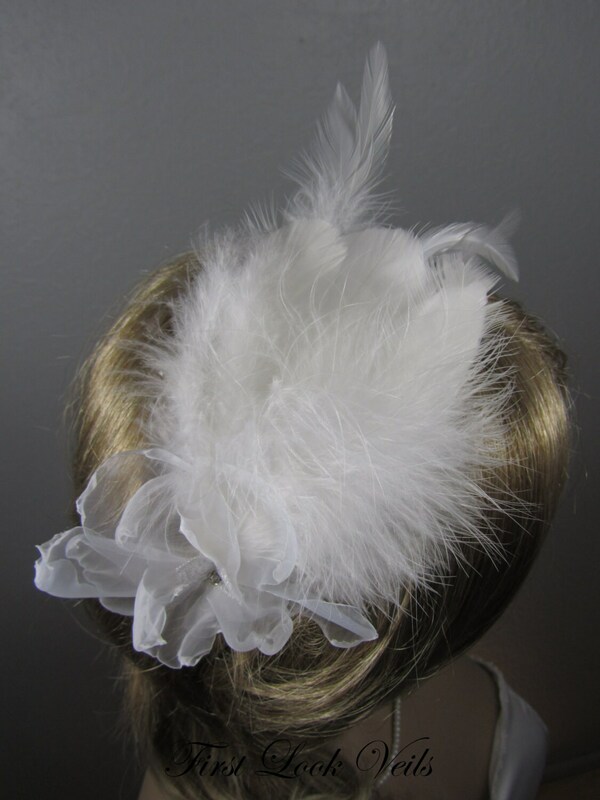 It was then embellished with three styles of feathers. 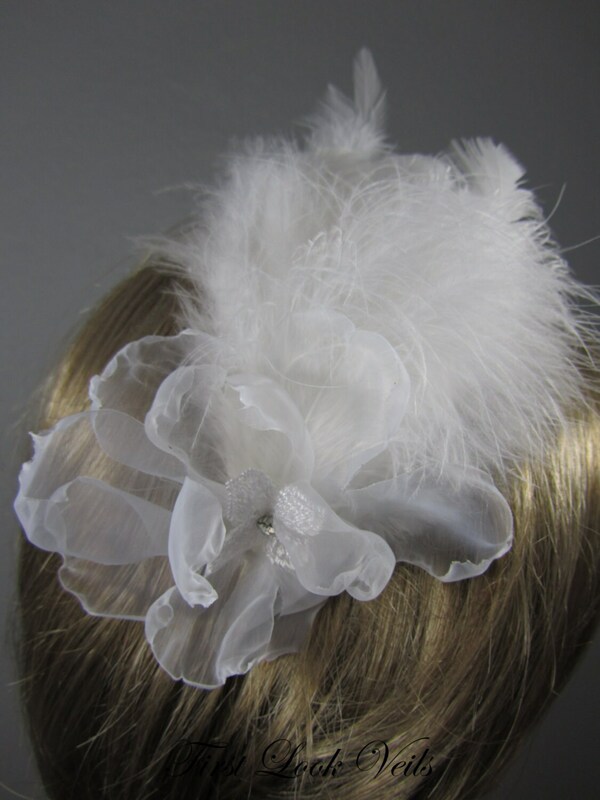 The flower is a double organza flower with a lace and rhinestone center. 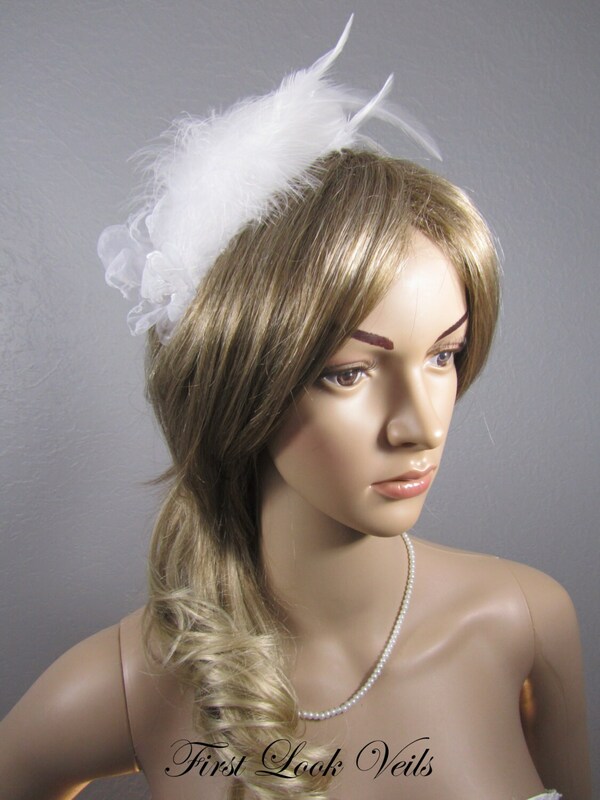 It may be worn on either side of the head.